If you're like me, then one of the things that excites you most when thinking about checking into a hotel is the food.. Especially a buffet. 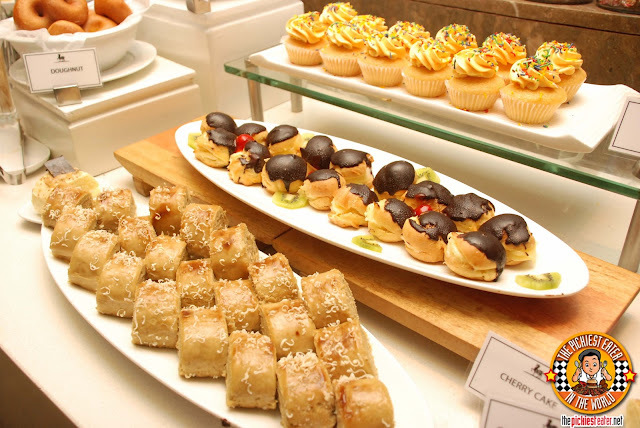 Call me weird, but the thought of a breakfast buffet is more appealing to me than a lunch or dinner one. I'm probably one of the few people that feel Bacon trumps Roast Beef, any day. This case is true for Cafe Marco at Marco Polo Hotel Davao. Their lunch and dinner entrees, are actually quite spectacular. But it can't quite compare to their breakfast food... particularly their Bacon, which I have to say, easily ranks among the best I've ever tried. 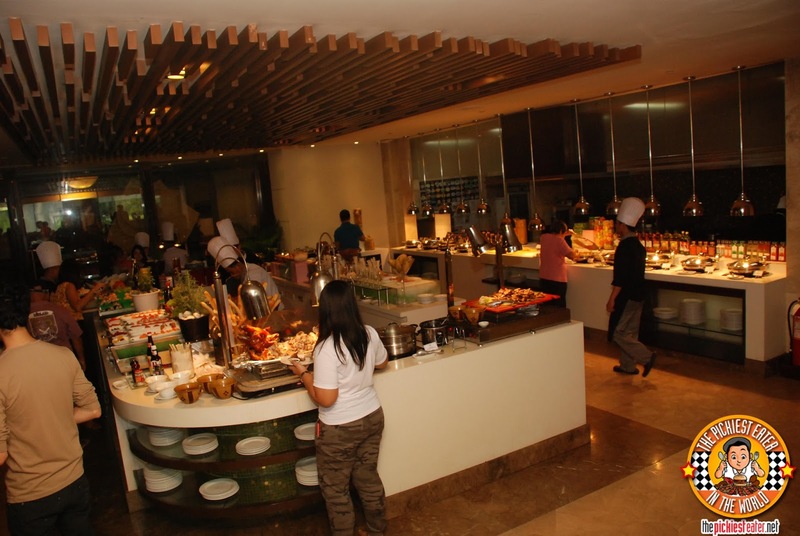 Cafe Marco is the go-to restaurant of Marco Polo Davao, where you can find a wide array of cuisines to choose from. 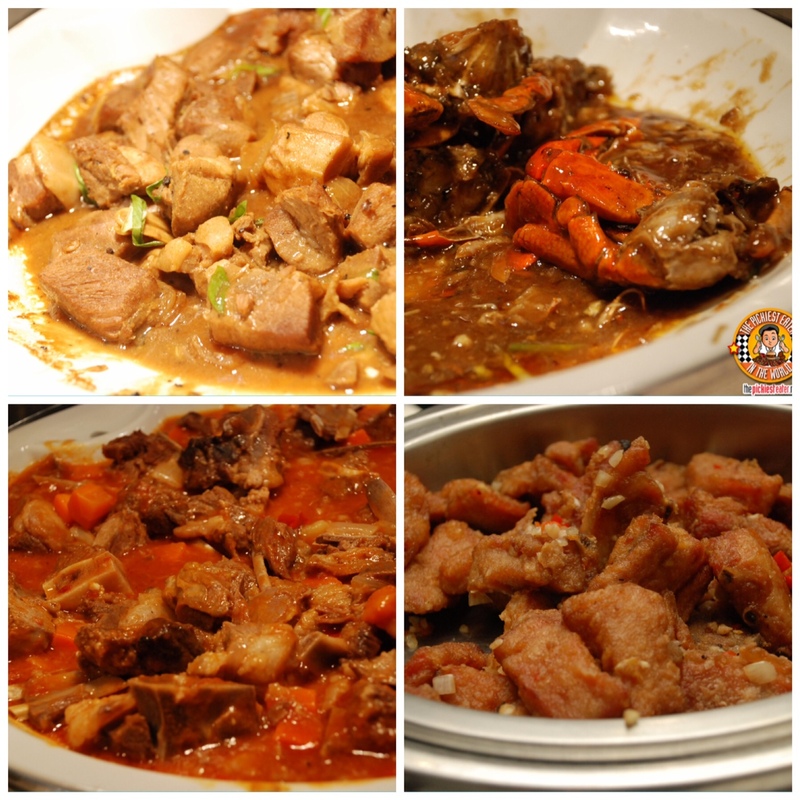 The dishes can range from home grown Filipino classics, to popular entrees from the Japan, Italy and the Mediterranean. However, most people are drawn to Cafe Marco for their lavish buffet spread, held every breakfast, lunch and dinner. 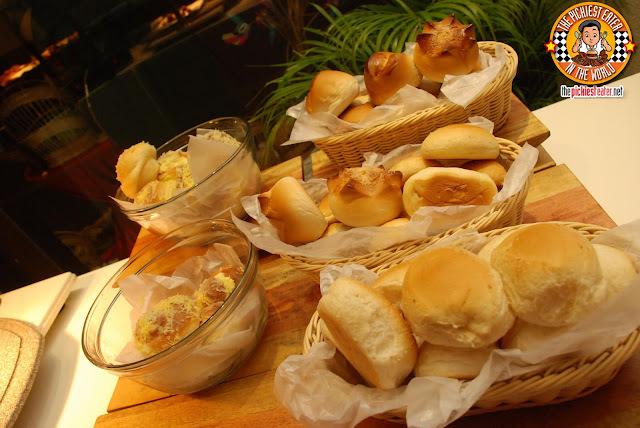 Cafe Marco offers an incredible breakfast feast for their guests. Of course you can start off with their various breads, fruits and cereals and the like, but if you know me, i'm making a bee line for the REAL food. 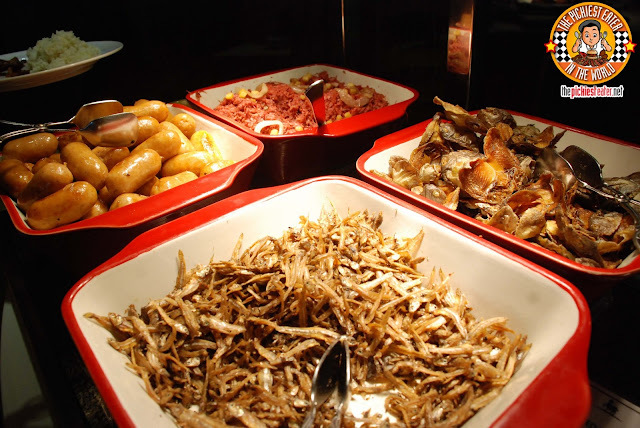 Cafe Marco's Pinoy breakfast fare included Crispy Dilis and Danggit, which was so flavorful neither needed any vinegar as a dip (yet I noticed a few seemed to enjoy it with vinegar). The Longaniza had a touch of sweetness to its meatiness that was quite enjoyable. 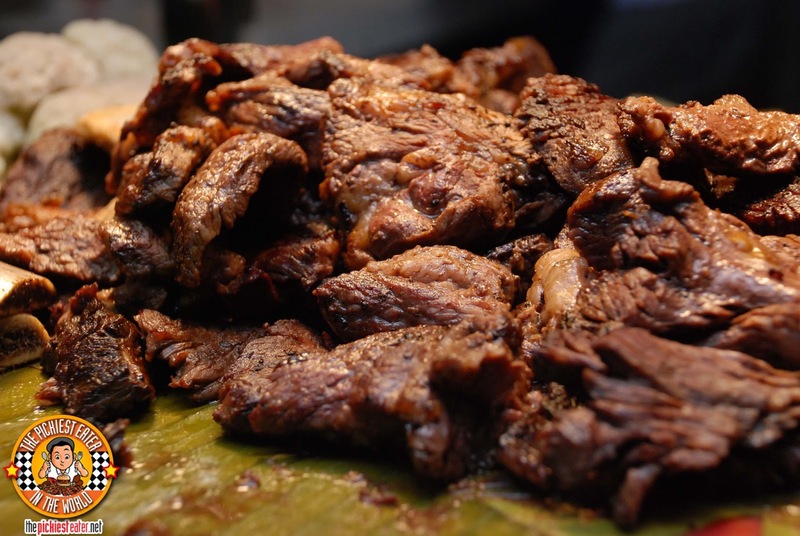 And you can never go wrong with Ginisang Corned Beef for breakfast. 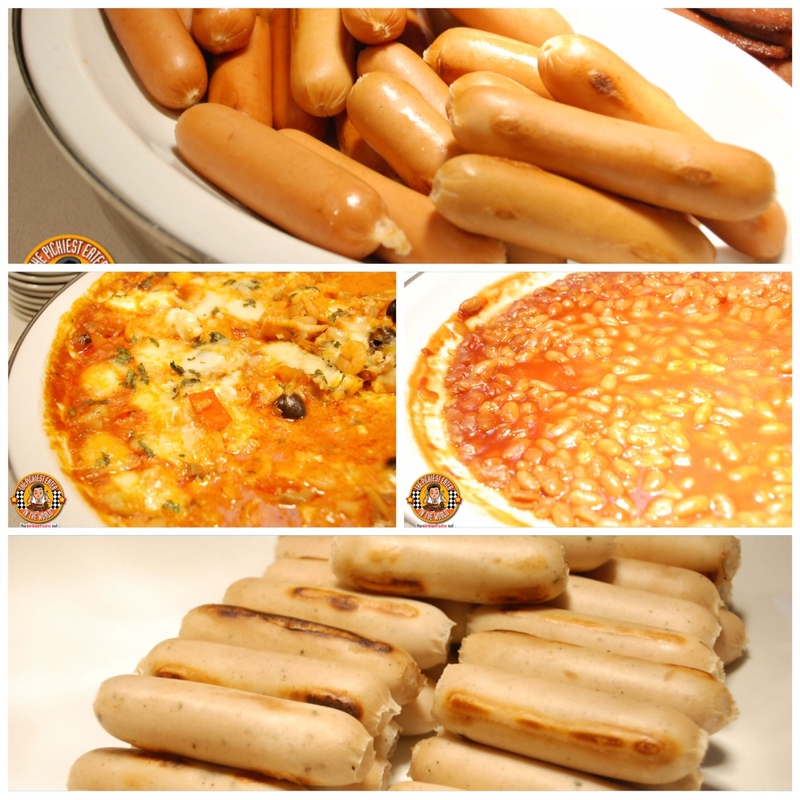 If you're more particular to Western dishes, then you'd enjoy Cafe Marco's choices of Sausages, as well as their very cheesy Seafood Gratin. Their pork and beans, though nothing truly spectacular, helped you feel like you were right at home. 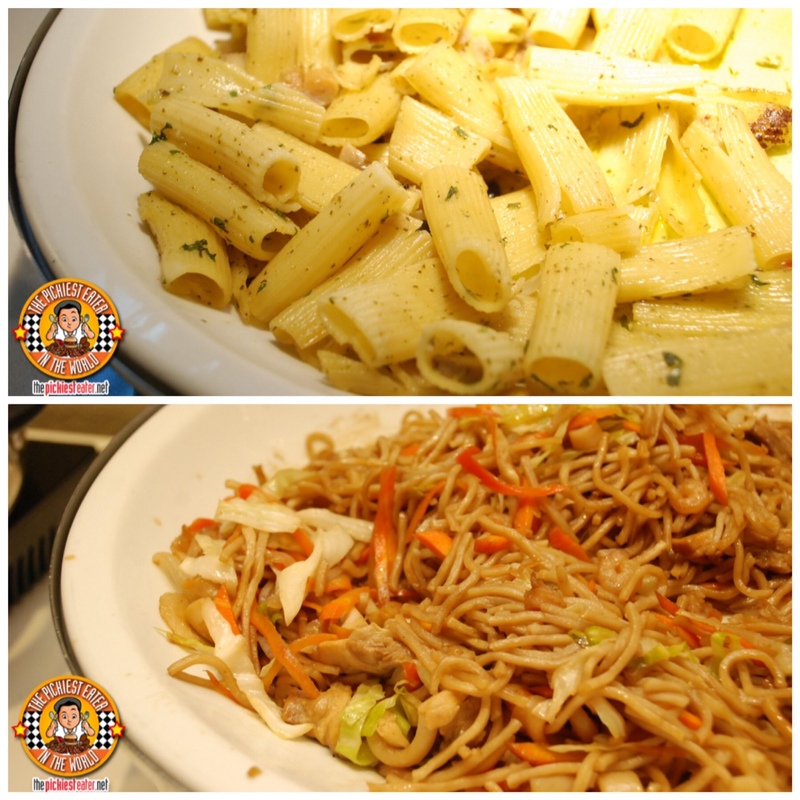 If you wanted to start your day with some noodles, Cafe Marco gives you a choice of Penne or Pancit Canton. Seriously, Cafe Marco's bacon is darn near perfect. From the sweet-smokey flavor, to the firm crunch in every bite, I can safely say that I easily rank this as one of the best I've ever had. The streakiness of the thin cut bacon was gorgeous, with the delineation of lines, looking nearly picturesque. 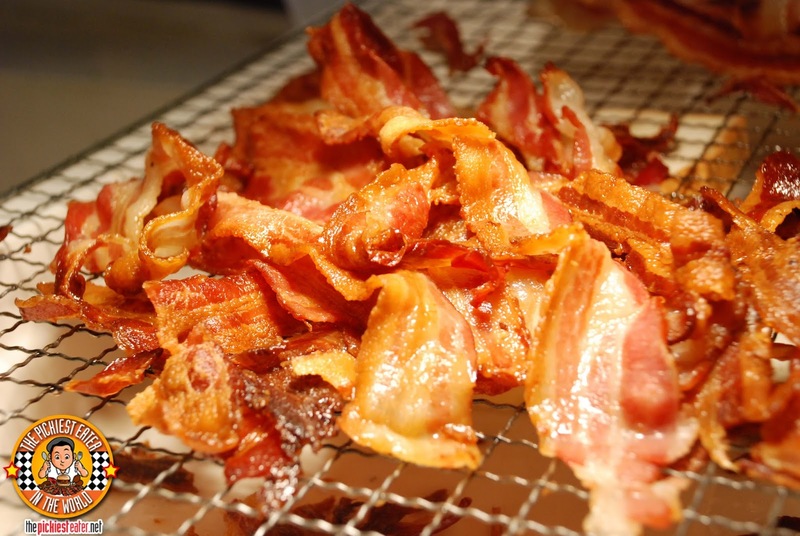 If you're not happy with the cook of your bacon, you could always hand it over to the chef behind the counter, and he would gladly do a re-fry for you on demand! 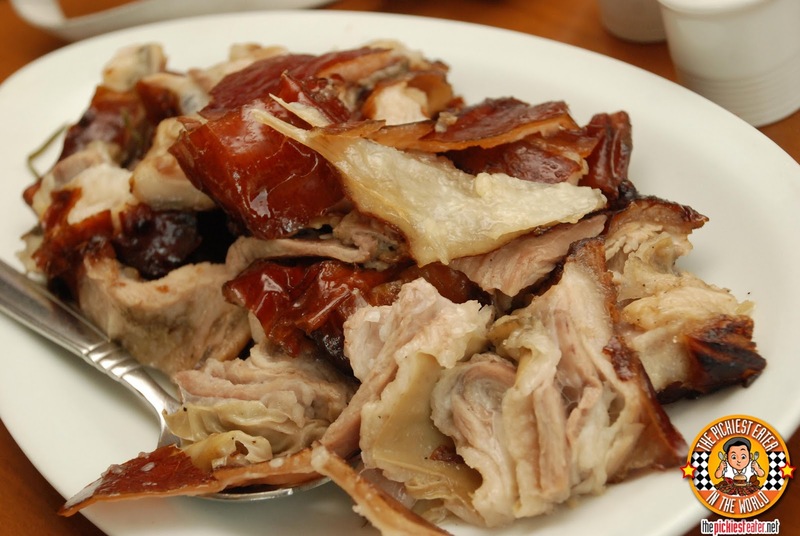 I would SWIM back to Davao for a platter of this. 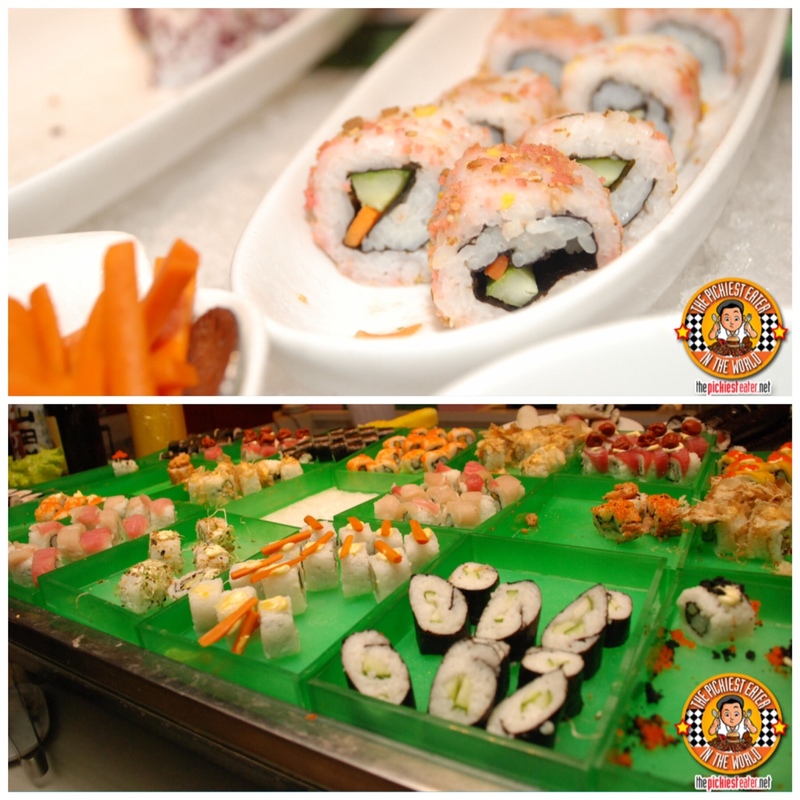 I'm not a fan, but Sushi lovers will be pleased with Cafe Marco's selection of the Japanese rolls. Instead of the Sushi, I visited the grill station, where there were several fresh meats for you to personally pick out and have a chef grill for you! 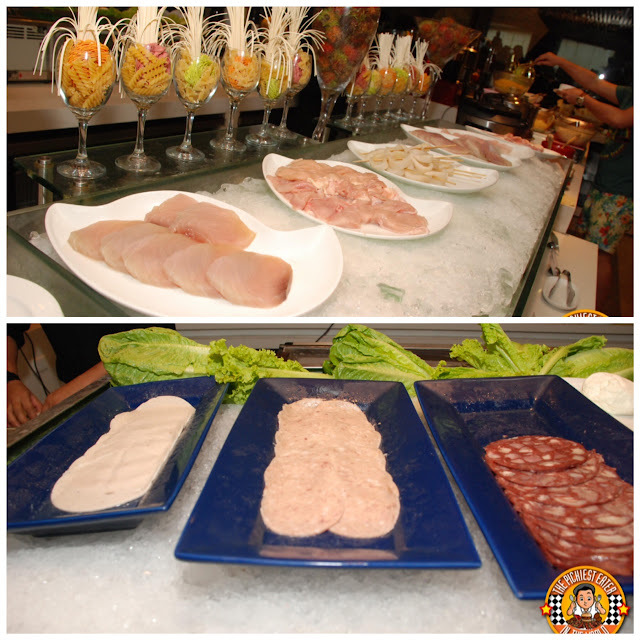 If you're a fan of Deli Meats, like me, then the cold cuts station will probably pique your interest as well. I found the available entrees offered to be quite an eclectic selection, with my favorites including a the more continental Chicken with mushrooms, the very Filipino Caldereta, and my personal favorite Chinese Salt and Pepper Spare Ribs. Rina enjoyed the Asian Crabs, which was bathed in a thick sauce. Because the theme of the lunch buffet we had was Kadayawan, in lieu of a carving station, there was Pinoy favorites, such as Tadyang ng Baka..
And of course, the staple of any fiesta... Lechon! I was a little sad to find that my coming just a tad bit late resulting in the pig nearly annihilated by the other patrons.. But little did I know that my friends from Marco Polo Davao, namely Patty and Phoebe, had a little surprise waiting for me at our table! 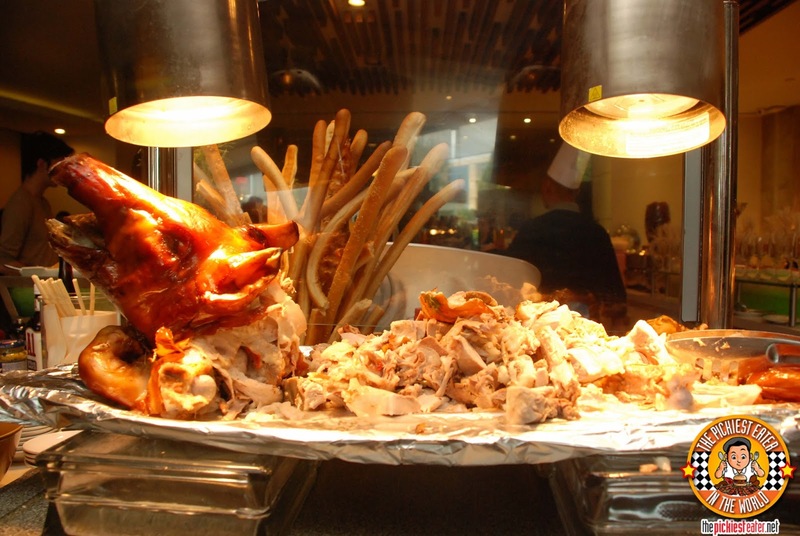 Cebu Lechon may get all the hype, but make no mistake about it.. Davao Lechon ROCKS!! 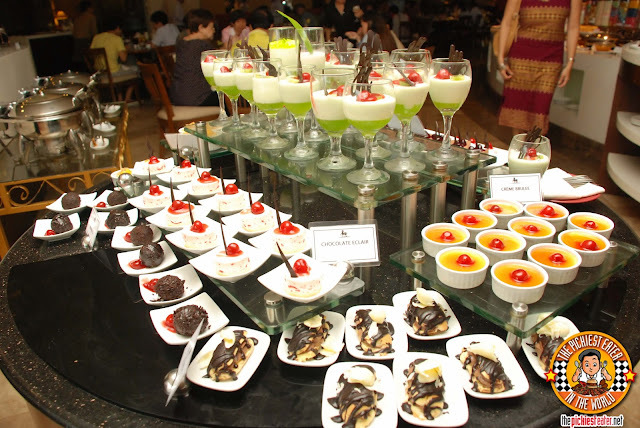 The desserts of Cafe Marco, particularly their fruit based ones, are exceptional. I enjoyed the Cherry cake..
First was the Churros Con Chocolate. 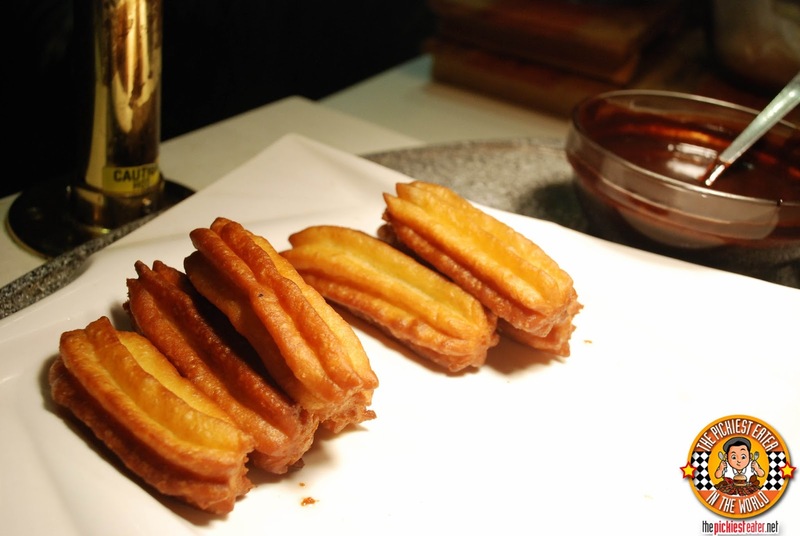 Lightly sweet fried, crispy dough dipped into a rich, dark chocolate.. fantastic! And the next was relatively simple, yet incredibly tasty.. 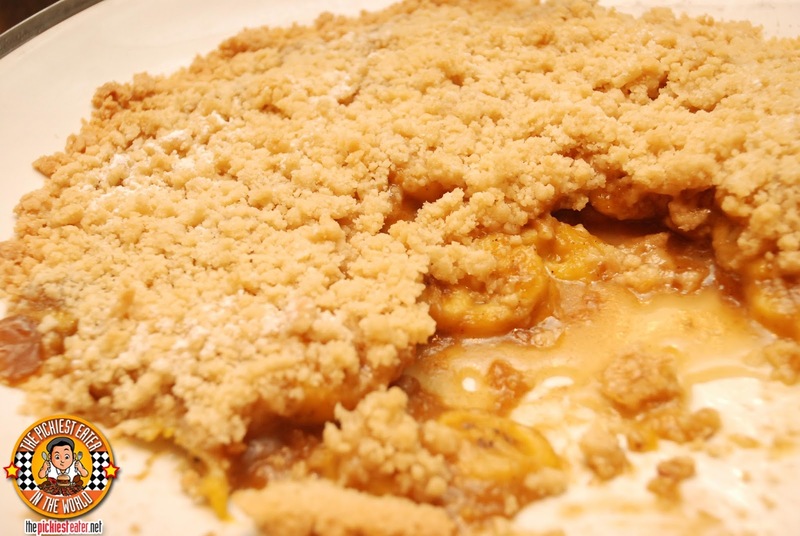 The Banana Crumble. I love the butter graham-esque crunchy topping, that was a great diffuser for the sweetness of the banana in its sugary syrup. As the memories of their bacon will forever linger in my heart, I plan on writing to the Department of Tourism, hoping that they would grant my request of making Cafe Marco at Marco Polo Hotel a Davao Landmark. 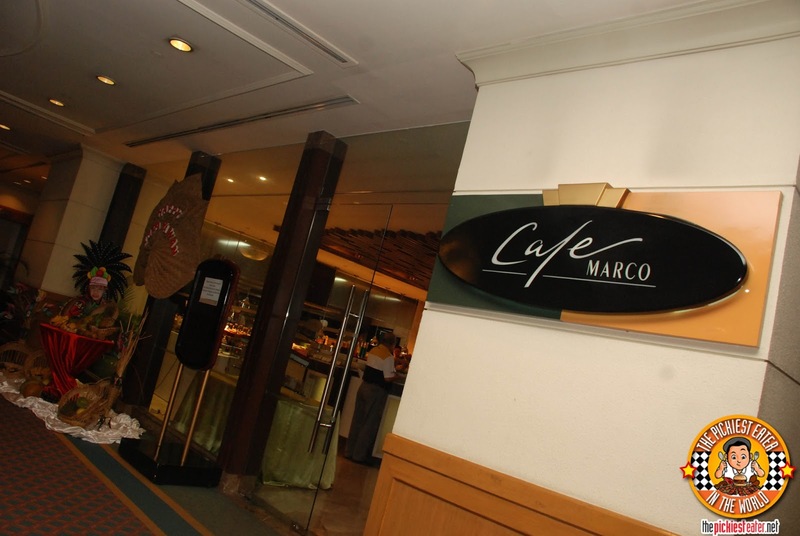 Cafe Marco is located at The 2nd Floor of Marco Polo Hotel Davao. Thanks for giving positive review of our very own Marco Polo here in Davao. I'm pleased that your group liked it here as much as we love our humble place. The pleasure is all mine Donna! I really had a fantastic time. Davao is such a beautiful City, and the people are absolutely wonderful! I really wanted to encourage more people to visit Davao! Haha correction! Next Stop: Movenpick!